Announcement HI! Thanks for visiting gajettes online! I'm obsessed with vintage fabric + creating funky, flattering, and comfy clothing from it! ©2004-2018 gajettes - all rights reserved. HI! Thanks for visiting gajettes online! 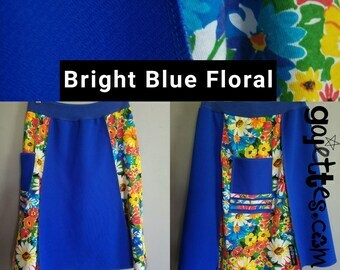 I'm obsessed with vintage fabric + creating funky, flattering, and comfy clothing from it! LOVE. 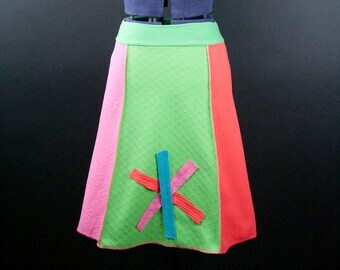 Well made, perfect skirt! gajettes evolved from a love of all things vintage, years and years of collecting, and a head full of ideas. all pieces are made primarily (or exclusively) of hand-selected, reclaimed, recycled, and repurposed materials. these materials are deconstructed, reimagined, and transformed into uniquely designed + skillfully crafted pieces that evoke the creativity and indivduality from which they were born. all creations are one-of-a-kind or limited edition and are sure to become treasured additions to your permanent collection. i take pride in my workmanship and stand behind all my creations - my goal is your happiness. if you are unhappy for any reason please let me know - i'll do my best to make it right! i ship as quickly as possible after receiving payment - often same day. if you need info. on shipping upgrades or international shipping please convo me. i love custom orders - convo me for details!